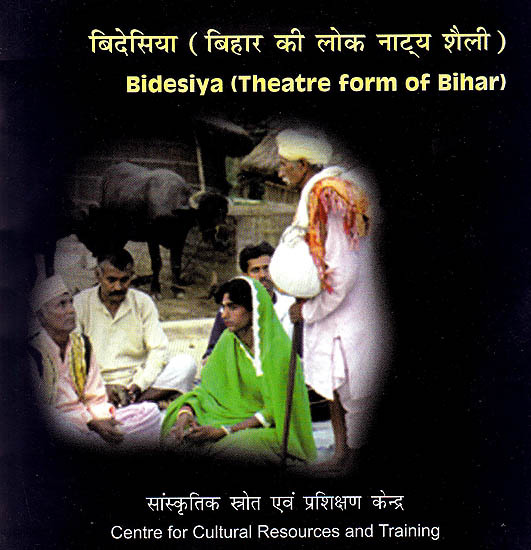 Bidesiya is a vastly popular vibrant, throbbing performing art form of Bihar. As the name itself suggests the soul of Bidesiya lies in the separation of a woman from her man as he goes to far off places to earn livelihood. The man who conceived conceptualized and literally rejuvenated Bidesiya was Bhikhari Thakur. He produced a path breaking play titled as Bidesiay in which he played an important role. The central characters in Bidesiya performance are Nat and Nati. The costume of Nat is colorful Dolangi Dhoti Kameez and Pagri, Nati traditionally a male performer wears Ghaghra Choli. The musical instruments used are majira or jhanj, dholak, khajri, nagara and harmonium played by feet.